SVORD knives are made entirely in New Zealand and are recognized the world over for their high quality and great value. 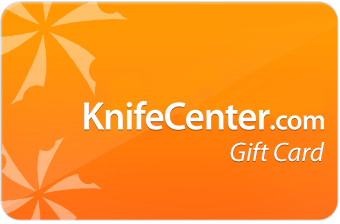 KnifeCenter is proud to offer a great variety of these knives and we hope to offer more in the future. Enjoy plenty of colors available on these carbon steel hunting knives, a "Kiwi" interpretation of the classic Sharpfinger design. Kitchen knives from Svord featuring an ash wood handle and carbon steel blade. Available in a variety of styles. The Carcass Splitter is monster tool designed to tackle any beast of a job. Mahogany handles and brass bolsters characterize these premium Svord outdoor fixed blades. Riveted mahogany handles and high carbon tool steel make for a classic look with affordable performance. Paracord wrapped handles adorn hand ground Swedish steel making high performance fixed blades easy to carry. Affordable line of high performance hunting knives with durable polypropylene handles. Svord's take on the puukko, a Finnish knife design made to handle every day and outdoor situations. Beautifully rustic fixed blades featuring brass bolsters, micarta scales, and hand ground high carbon steel. These fricton folders have stood the test of time, providing capable performance at a low price, with tons of handle color options to choose from. The Sister series fixed blades are a super slim, simple, fixed blade design produced by Svord and features brass handle scales. These large double edge Nordic blades are worthy additions to any collection, and the perform as good as they look. Based on designs issued to the New Zealand Forest Rangers, these bowie knives were made to stand up to the rigorous needs of those elite forces. The early SVORD Knives were forged individually and therefore expensive. Bryan Baker had to rethink his production methods and pricing to secure a share of the New Zealand sports market. He began using the 'stock removal' method and soon carved a niche in the sports market, with attractive, affordable, handmade outdoor knives. A chance meeting with an elderly Czechoslovak knife maker gave Bryan Baker's business a real boost for this master craftsman was able to pass on to Baker many cutlers secrets and knife know-how. Especially important was the unique hardening and tempering process which gave Bryan Baker's knives a special edge of strength and durability. Baker immediately set about to build his own hardening and tempering plant using his newly acquired skills and knowledge. Today, every SVORD Knife is treated and tempered on the premises. The combination of quality Swedish cutlery steel and Baker's process for heat treating and tempering produces a truly superb blade. SVORD has continued to grow with increased interest both domestic and international. 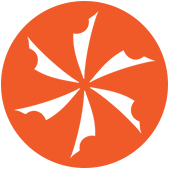 You can now find SVORD Knives in Australia, U.S.A and a number of other countries. SVORD Knives even attracted attention from the prestigious "American Fighting Knives" publication who rated their durability and edge holding quality as "outstanding". SVORD Knives continue to gain a reputation for quality and functional design, and the future looks promising for the mark. SVORD Knives are 100% NZ handcrafted from innovative designs by Bryan Baker, Master Cutler. THE POINT IN USING A GOOD KNIFE! The charming lady managed to mellow the scruffy bushman who agreed to buy the knife, although he still had reservations about it's alleged ability to perform in tough conditions. A few feet outside the door, so the lady says, "Wal" raised the knife at arms length above his head. Then, to her utter amazement, he dropped the knife, plumb onto its point onto the concrete pathway. There was a sickening crunch as steel met stone! He picked it up, carefully examining the tip, then to her great relief, "Wal" gave her the thumbs up of approval through the shop window. I Guess this is the sort of stuff that starts legends. No doubt Wal, like Banjo Patterson's MAN FROM IRONBARK, has "told the story o'er and o'er while the listening shearers gape". Of course, it would have been a different story indeed had there been a metal fatigue fracture somewhere near the swedge!